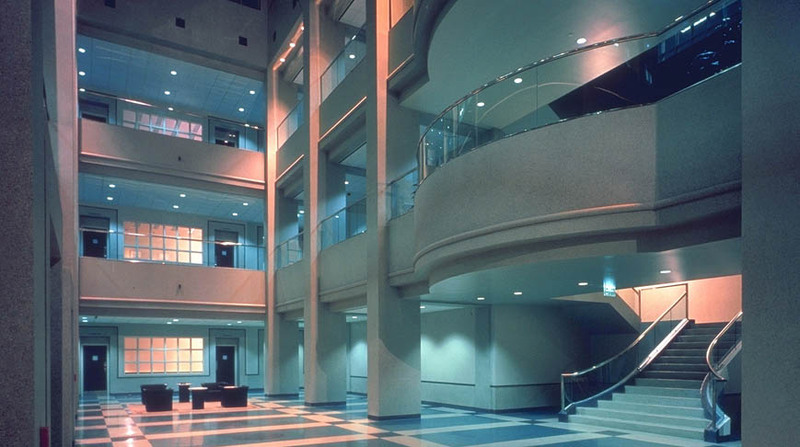 Doster was selected to build this three-story concrete frame building, which houses the bank’s item and data processing, as well as administrative services for its entire regional system. Also included are transaction/item processing, accounting, vault services, warehousing and administrative services. A public wing houses trust department services, employment services, a training and conference center, a cafeteria and a fitness facility. At 325,000 square feet, the building is designed to be highly flexible in response to the changing requirements of the banking industry and electronic technology. The construction of this project was made complex by flexibility, security, around-the-clock operation and strict budget and schedule requirements. Additionally the project was adjacent to one of Birmingham’s oldest residential neighborhoods, posing zoning and image requirements.